Individuals with a struggling body image before diagnosis may have an even harder time coping with changes in appearance. The reaction of partners and others can affect the way a person adjusts to changes to their physical appearance, too. For some people, the physical changes may add to psychological distress since they are a concrete reminder of a cancer diagnosis. Some changes only last a short time while others are permanent. Talk to your doctor about these changes. Your comfort level with changes in physical appearance may have a profound impact on how you relate to others. Certain types of cancer may make your body changes more visible such as individuals diagnosed or treated for head and neck cancer. Others could see physical changes following the removal of the breast as part of their treatment for breast cancer. For all body changes incurred as a result of your cancer, these changes may affect you both physically and psychologically. That, in turn, may have an effect on how comfortable you feel working with others or the public. Speak to your healthcare team for advice about interventions to address the concerns that you have about changes in your physical appearance. Reconstructive surgery following surgical treatment of cancer, appropriate diet and exercise may help to address some concerns. The management of lymphedema can reduce the swelling associated with this condition. Body image problems are real concerns for cancer patients that can impact self-esteem and mental health. If you feel this significant for you and that it is having a negative impact on your feelings about return to work, it is helpful to reach out to counselling support at your local cancer centre. 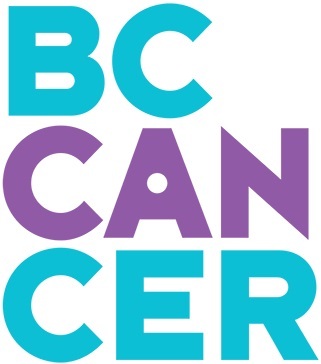 See if there are community-based cancer support counselling groups in your area. We understand that hair loss can be distressing. Speak to your doctor to see how you can retain your hair during treatment, and when you can expect your hair to grow back. To help, think about visiting one of the many Canadian cancer centres that have wig banks. See if there is an organization in your community called “Look Good Feel Better.” They offer advice on hair care, hair loss, wig styling, and scarf tips among others. For more information on hair loss during cancer, see New Hair Looks from Look Good Feel Better. The Canadian Alopecia Areata Society also offers support and strategies in dealing with permanent hair loss. Your sense of body image can change even if you do not have any lasting physical changes. Cancer survivors describe both positive and negative changes in their body image. Read more about negative and positive body image in Managing Body Image Concerns after Cancer Treatment (PDF). Ask to be able to complete work from home, in a private office, or to conduct meetings by telephone while you adapt to the changes in your appearance. If you’d like, have a trusted colleague or manager disclose the changes in your appearance to your colleagues prior to your return to work. You may also request that they share your level of comfort discussing these changes in order to minimize unwanted questions. Ask for sensitivity training for co-workers and supervisors.